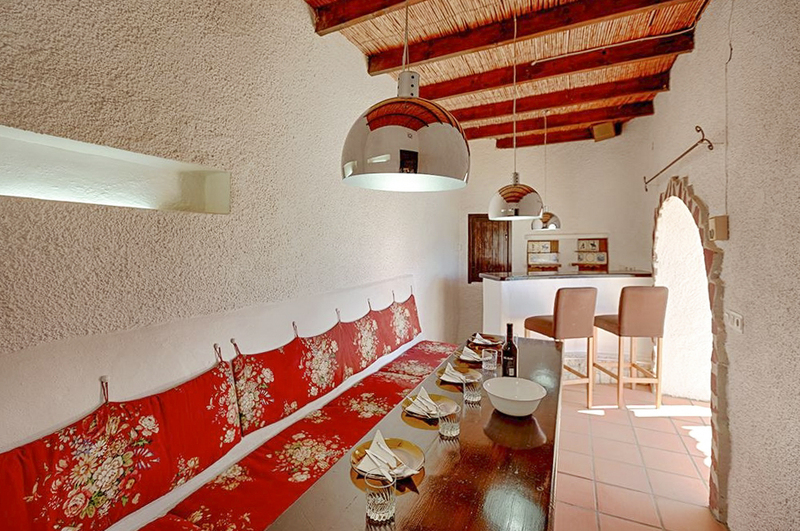 This quintessential Spanish villa is the perfect, picturesque spot for friends and family to enjoy gather for long days under the sun. 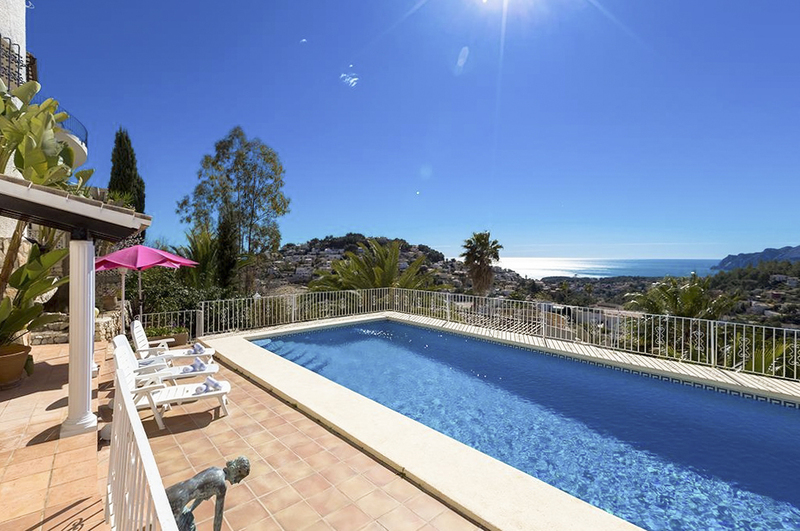 Located in Benissa along the Costa Blanca, this holiday home has a spectacular vantage point of the stunning vista of the crystal-clear ocean and lush greenery. 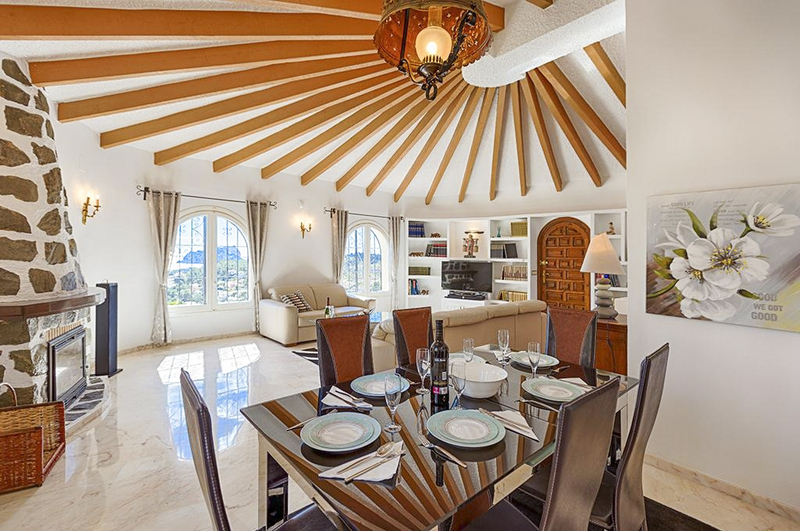 The two-level Spanish-style villa is the perfect home away from home, allowing ultimate holiday relaxation. 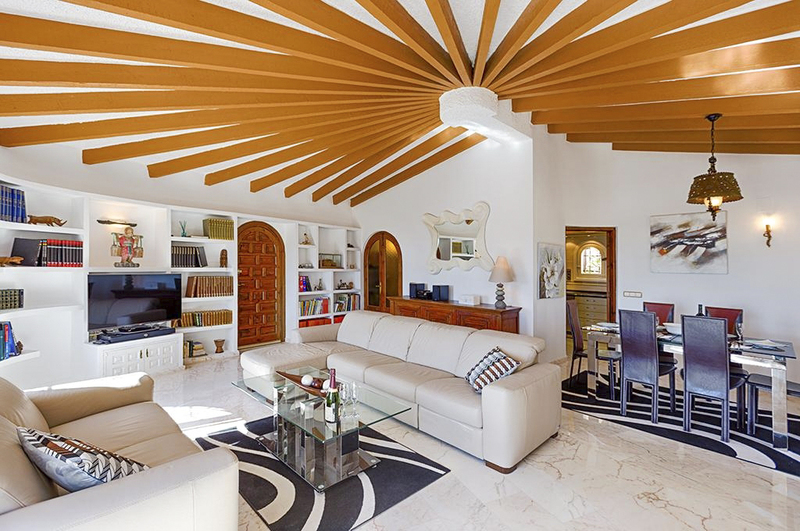 Archways lead you around the home, which has marble floors, bright white walls, exposed wooden beams and colourful furnishings. 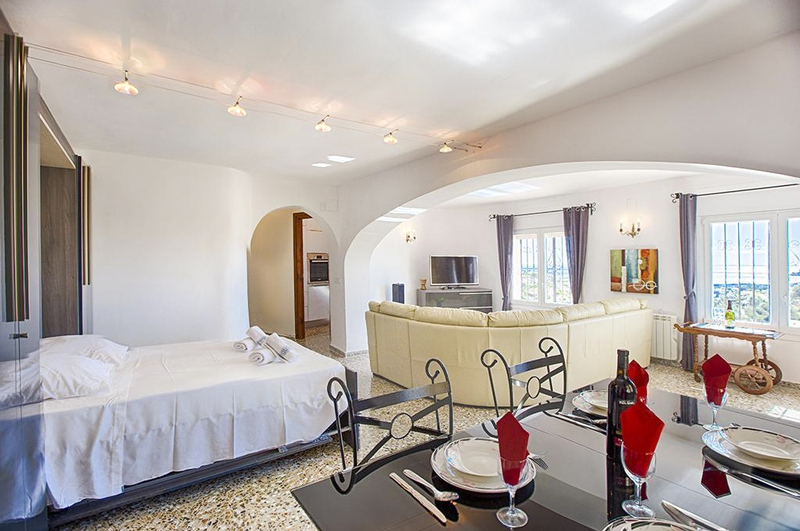 There are plenty of living spaces, for lounging, feasting and simply having a good time. 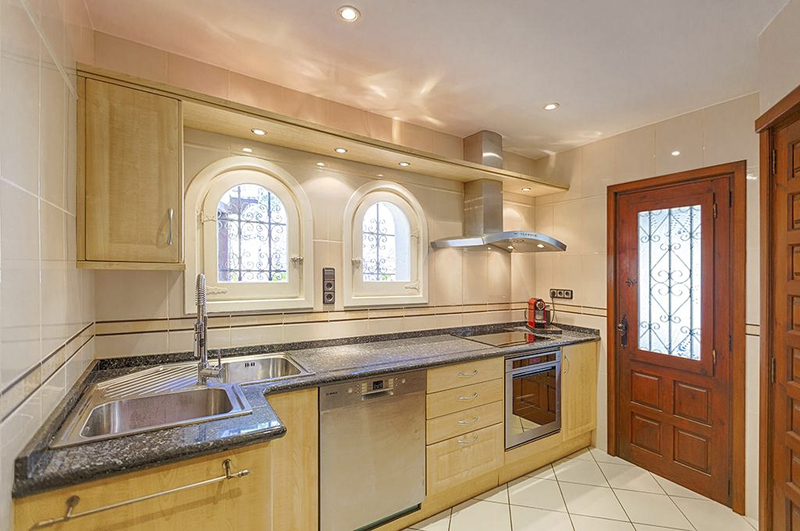 The quirky open plan kitchen and dining room are complete with all the amenities you need for a fiesta, such as an electric hob, electric oven, microwave, refrigerator-freezer, coffee machine, water cooker, mixer, toaster and juicer. Complete with a dining table long enough to fit the whole clan. 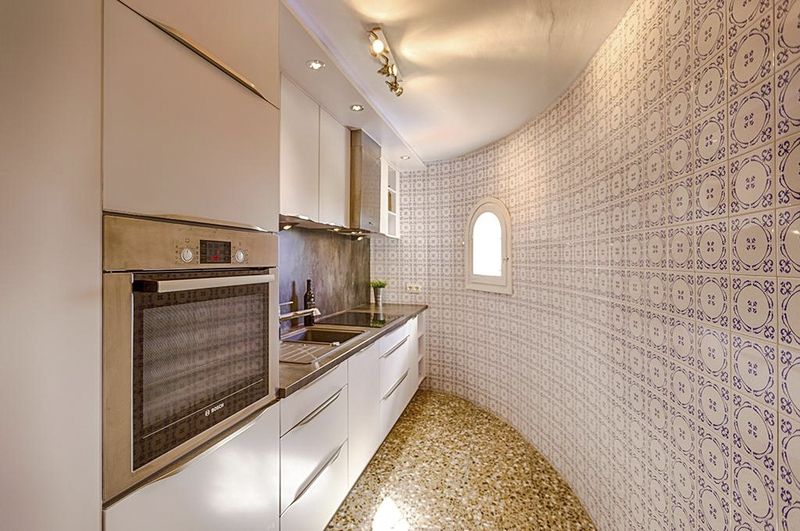 The other kitchen, equally as quirky, is nestled into the curve of the home and is also complete with all necessary facilities such as an electric hob, electric oven, microwave, dishwasher, refrigerator-freezer, coffee machine, water cooker, mixer, toaster and juicer. The open plan living and dining room offer more dining and relaxation options, complete with a sofa bed. 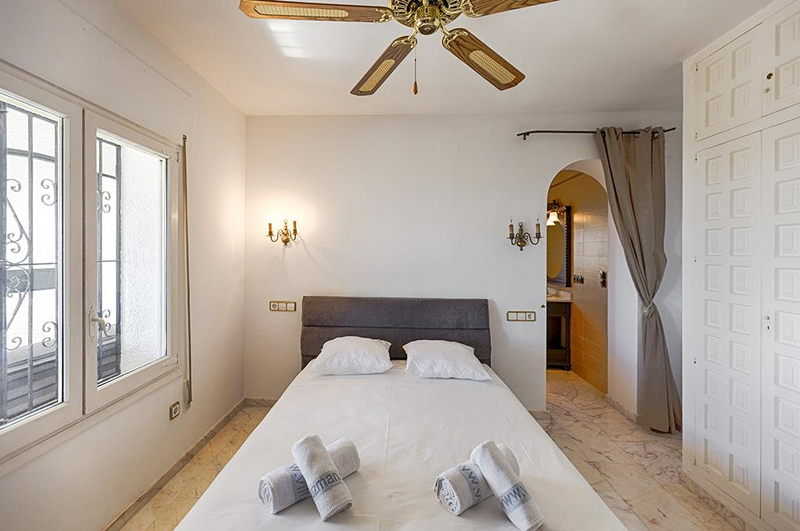 Weary heads can be rested after long days exploring the Costa Blanca or simply lazing by the pool in one of the five bedrooms. 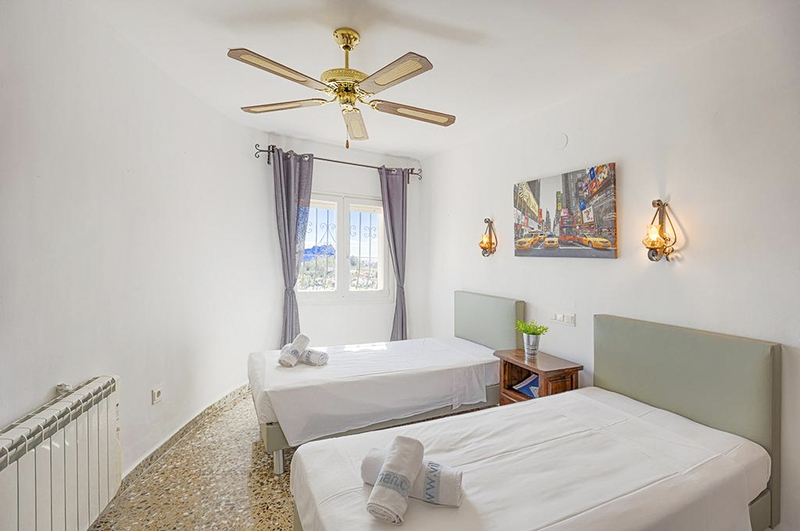 Each room is bright and airy and two of the bedrooms each have a double bed and the other three bedrooms each have two single beds. 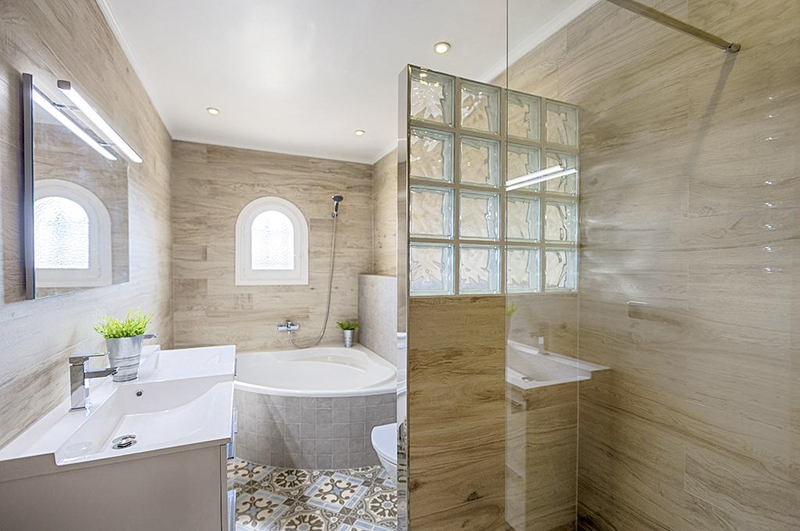 The bathrooms are both spectacles in their own right, with stunning tiling and unique features such as a wee archway window and a huge, dreamy shower. 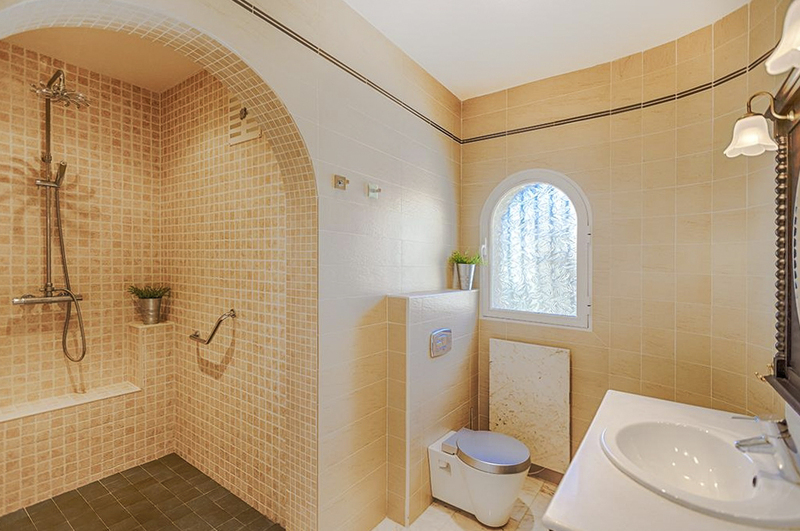 The two bathrooms each have a single washbasin and shower, and there are another two bathrooms with single bathrooms, a shower, toilet and one with a bath. 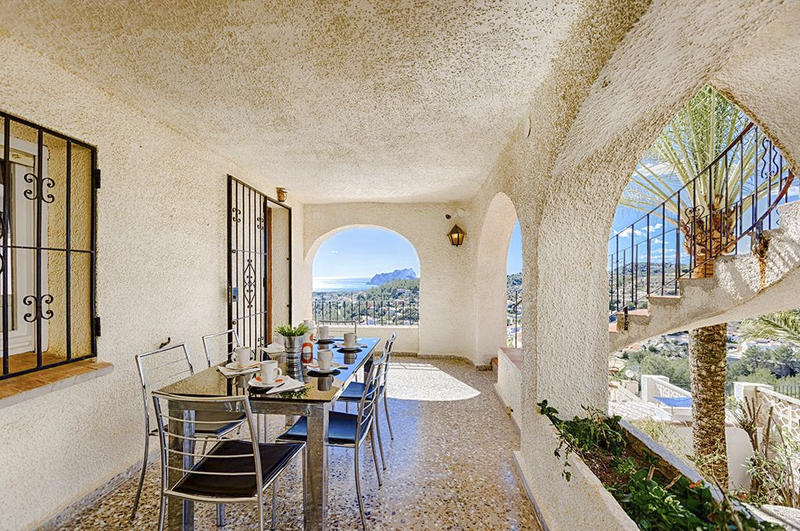 The classic Spanish style continues outside, with the white stucco exterior and the cobbled balcony complete with archway windows. The perfect place to take the fiesta outside, while still under shade from the sun. 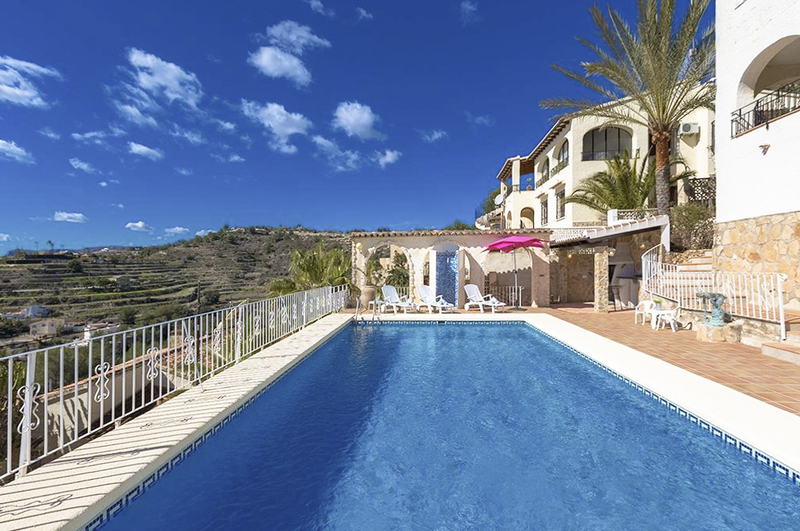 The showstopper outside is the private pool, which overlooks the stunning vista and has sun chairs to make your enjoyment of the pool and the sun even comfier. Between swims and sunning yourself, treat yourself to an outdoor shower or perhaps a meal cooked on the barbeque. 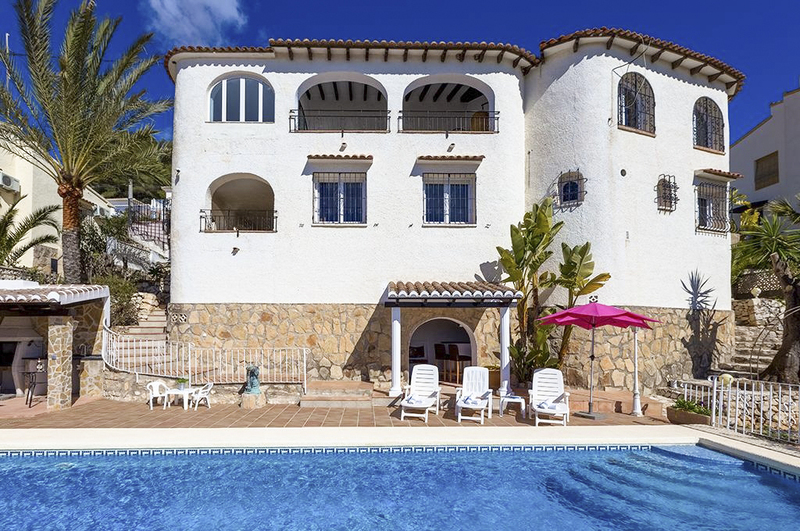 Making the most of the long, hot days is made easy at this villa. All of this is located in the coastal and mountainous area, just three kilometres from El Baladrar beach. 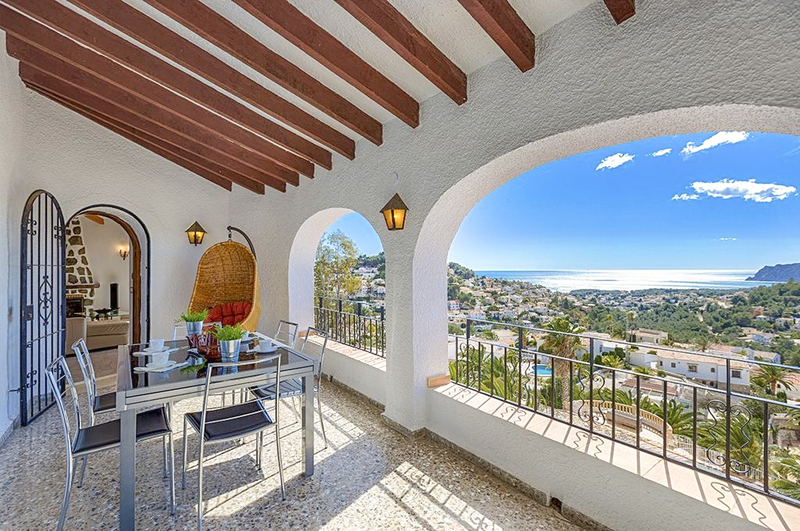 The Costa Blanca is one of the most stunning, and premier holiday coasts in Spain, drawing hordes of domestic and foreign visitors each year. The oldest town along the coast, Benissa, while still, a popular destination is often quieter than some of the other spots. Known for its incredibly rich history, that has been well preserved, Benissa boasts medieval architecture and plazas. Weather is one of the draw cards for Costa Blanca, as the towns along the coast rarely see rain and can have up to 324 sunny days a year. Not too hot thanks to the coastal breeze, and never too cold thanks to the mountains that block wind from the north, a lot of people choose to visit, and live, in Benissa and nearby towns because of the amazing all-year round weather conditions. 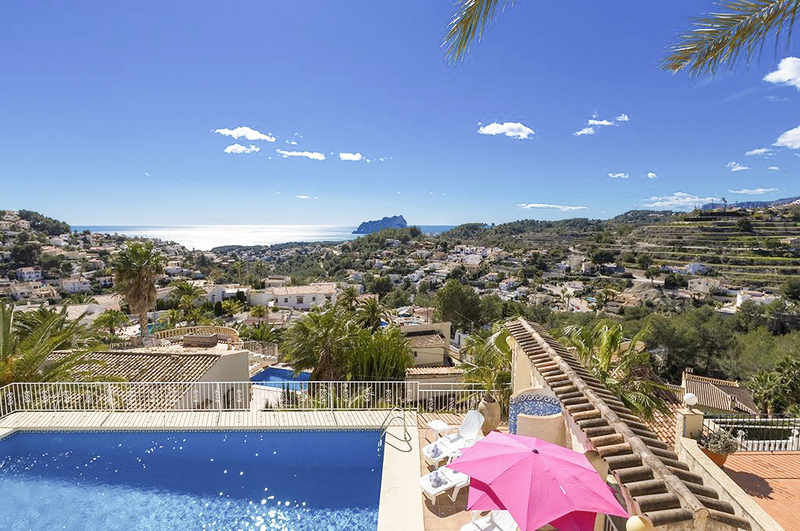 There are plenty of other towns along the Costa Blanca coast that are worth a visit, Moraira is one of the closest towns and it is an upmarket beach town with beautiful beaches, a marina and boulevards with excellent restaurants, bars and shops. 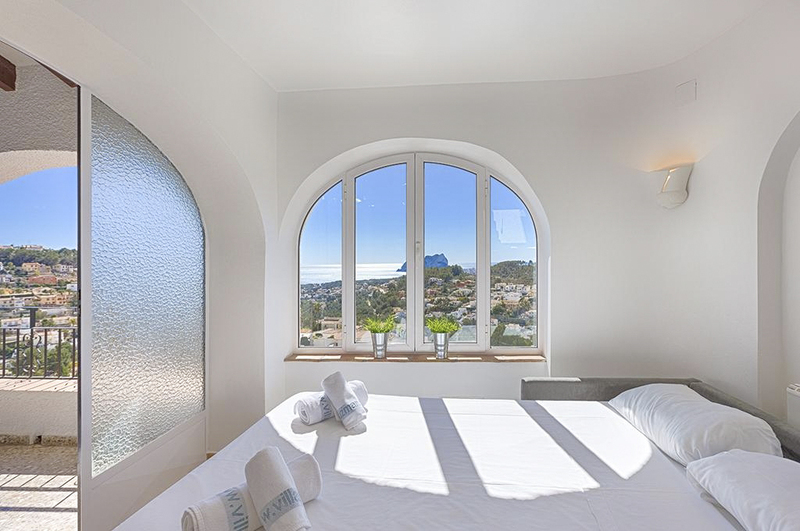 Other spots nearby include Calpe, Moravit and Terra Mitica, all of which are within 40-minutes of Benissa. 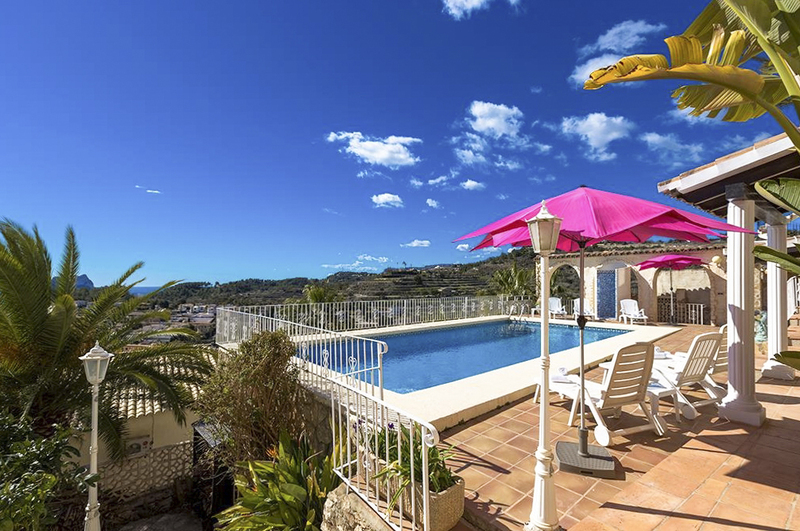 The nearest airport, Alicante, is just over an hour’s drive from the villa and the second nearest airport, Valencia, is over 100 kilometres away.